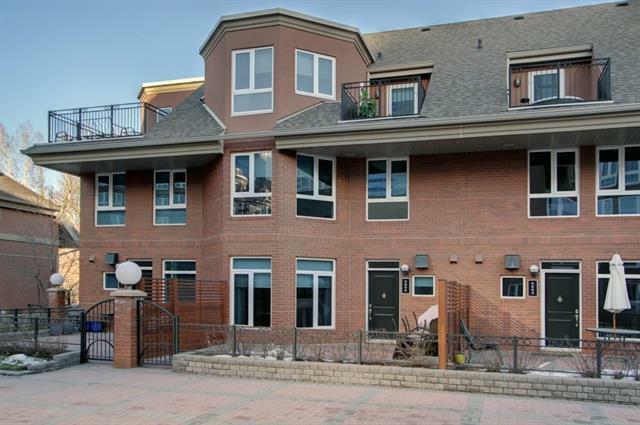 Executive air conditioned custom 3 storey townhouse backing onto Bow River pathways and Princes Island. 2 bedrooms, plus a den and 3 bathrooms. Very Bright and Open Plan. 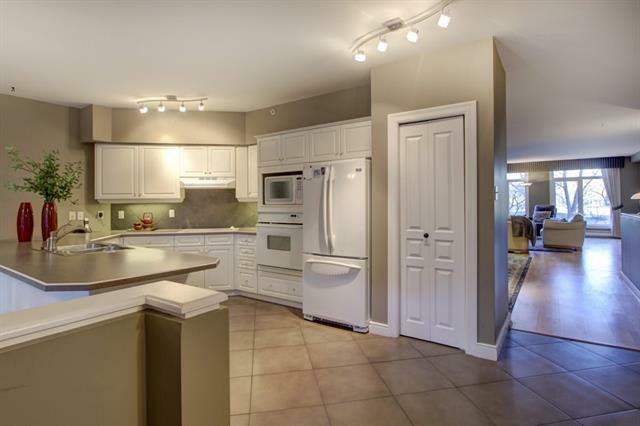 Gourmet kitchen open to large dining room and great room with fireplace, 2-piece powder room. 2nd floor master bedroom with a 4- piece ensuite with his and her closets. Good sized 2nd bedroom with 4-piece main bathroom. Den with built-ins and a laundry area. 3rd level loft ideal for family, recreation or media room. 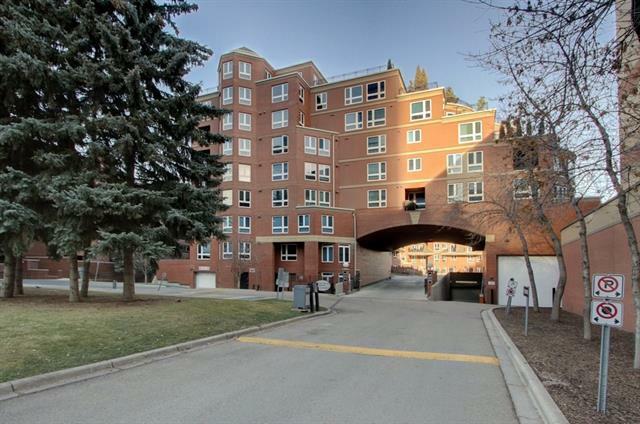 Beautiful and easy access front inner courtyard and lower level heated 2 titled indoor parking stalls. Maintenance free living. Pride of Ownership shown throughout. Ideal for professional or empty nester. Spectacular location! 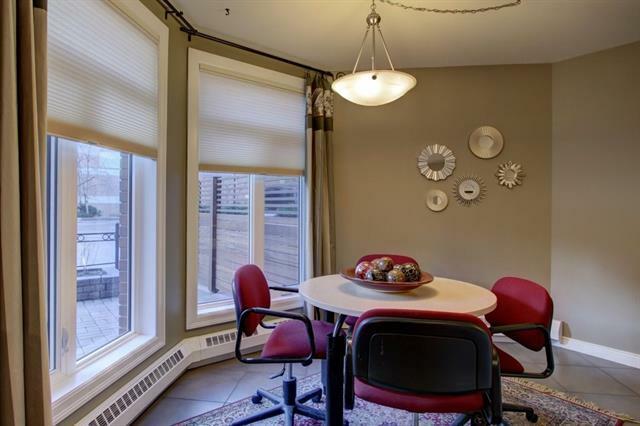 Exceptional Value In the Heart of Eau Claire!